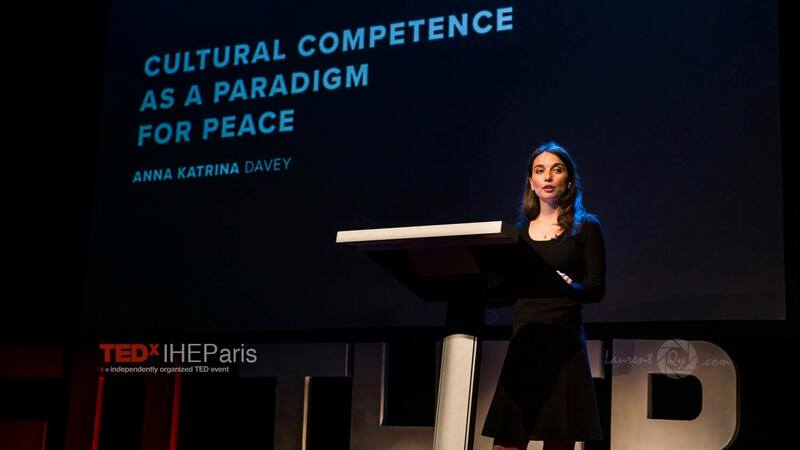 Giving a TEDx Talk on Cultural Competence as a Paradigm for Peace has been a beautiful journey and I’d like to share 3 key lessons I learned from giving the talk that you might find useful as well. The theme of the TEDx event in Paris was “Beyond Our Limits”. My talk focused on the importance of going beyond the limits of our culture-bound reality so that we may truly understand each other beyond the surface and foster peace across differences. At the same time this theme acted a personal invitation and memento to step out of my comfort zone and get on that stage! While I have always greatly enjoyed TED and TEDx talks as a viewer, I had actually never even thought of becoming a speaker. Yet end of 2015 I had the unexpected honor of being invited to submit an application to speak at TEDxIHEParis in May 2016. This honor also implied the necessity for me to leave the safety of my comfort zone and make myself vulnerable by getting on a world-renown stage and sharing my message with a global audience. Glad I did so. It is precisely when we leave our comfort zone that we are able to grow and step up to meet our mission. Cultural competence requires us to be aware of different perspectives and incorporate a plurality of views. In fact, it requires the willingness to shift our perspective – often. The opportunity to speak at TEDx helped me shift perspective by allowing me to address the importance of cultural competence from a societal standpoint rather than from the business standpoint I was accustomed to. It allowed me to present cultural competence as a tool for peace and serve higher purpose. TED Talks are about “Ideas Worth Sharing”. I believe that if we live authentically, true to ourselves and paying heed to our inner voice, we will all eventually find that message in ourselves which we are called to share with others. We all need to be heard and we can all learn from one another. I am most grateful to have had this opportunity to explore and share my message through my TEDx Talk. And if my talk touches your heart and resonates with you, I’d deeply appreciate your help in sharing it with your network and loved ones. Let me know your thoughts, I’d love to hear from you! Watch my TEDx Talk here! Feel free to leave comments on and like our Facebook page here!